Simplicity, safety and stability is again the real advantage of a Nonsuch. Simplicity; because she is so easy to sail (one sail, one sheet, one person). Safety; because all sail handling is done from the cockpit. Stability; because the Nonsuch is designed with a powerful hull and an unstayed rig. 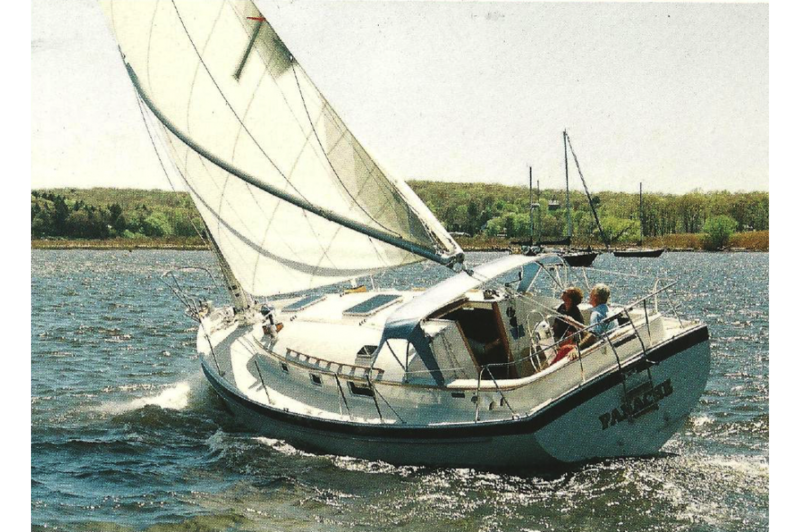 The Nonsuch 33 has a waterline length of 31'6", which makes her extremely fast. 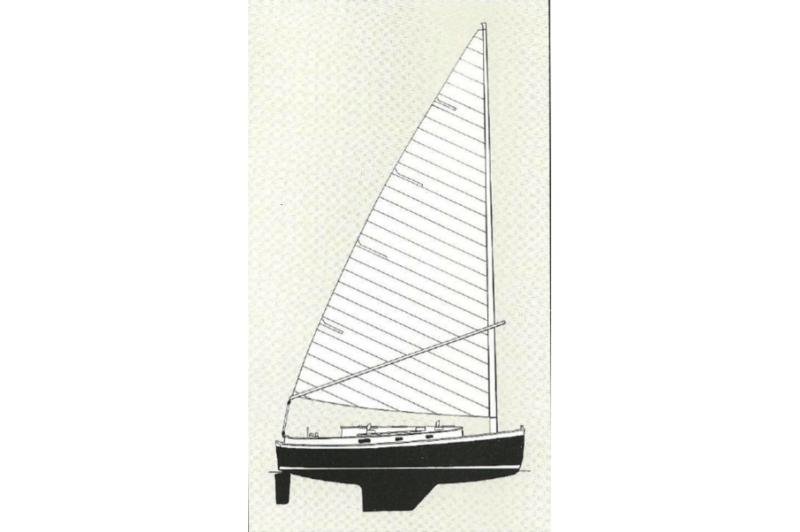 Even her optional shallow draft 4'4" keel, a "must" for cruising the Bahamas, the Chesapeake, or Cape Cod, provides sailing abilities far superior to any cruising sailboat her size. This new design is another expression of the Cape Cod Cat Boat. She has a large, deep and comfortable cockpit. The volume below is equally impressive. 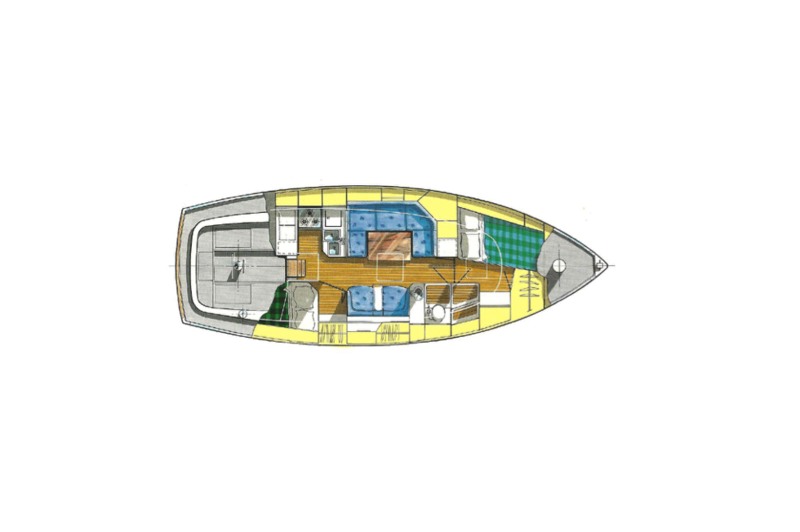 This is a three cabin layout with 6'6" in headroom. The main salon utilizes the 12'6" beam to the maximum, creating an interior found only in boats many times larger. 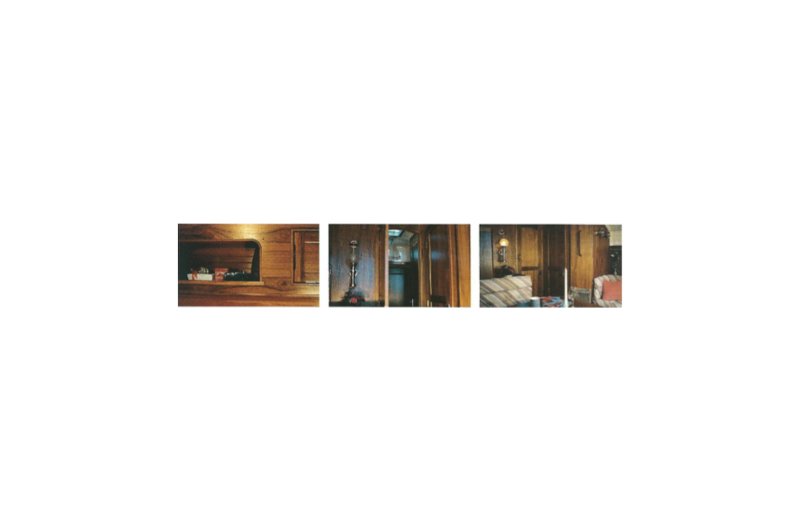 The owner's private stateroom forward provides 16 lockers and drawers. There is dual access to the enclosed head and a separate stall shower. 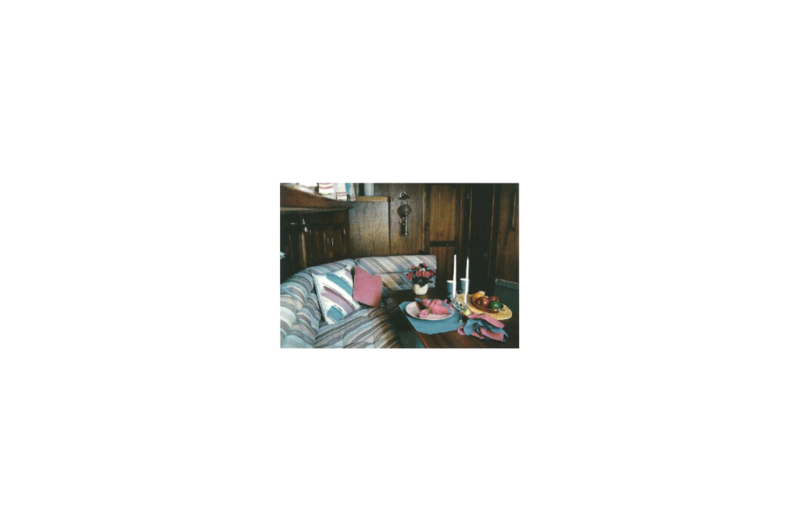 Cabin ventilation is abundant, especially in the galley which is located near the companionway. 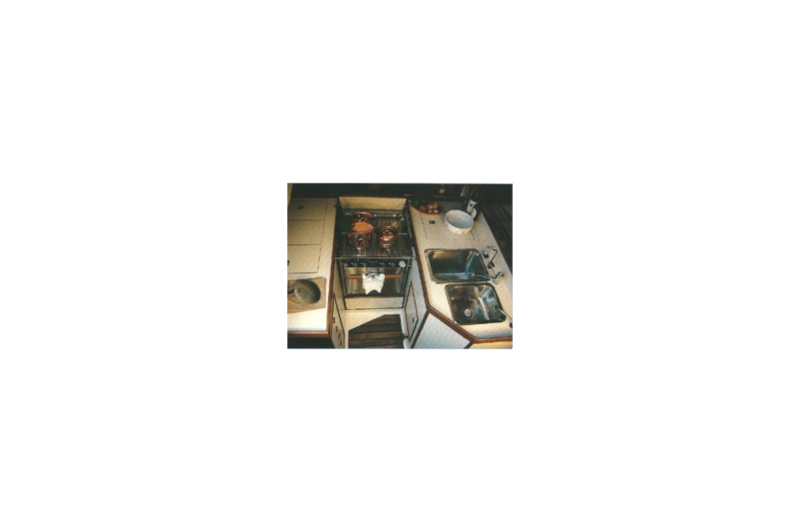 The galley is "U" shaped, boasts double sinks, copious storage, a three burner stove with oven, broiler and excellent counter space. Old world joinery and finish work are typical of Hinterhoeller Yachts. Hand selected matched grain teak, finished in satin varnish, create a yacht interior. There is a feeling of elegance that is accentuated by a tasteful selection of materials and meticulous attention to details. Some custom considerations are also available. 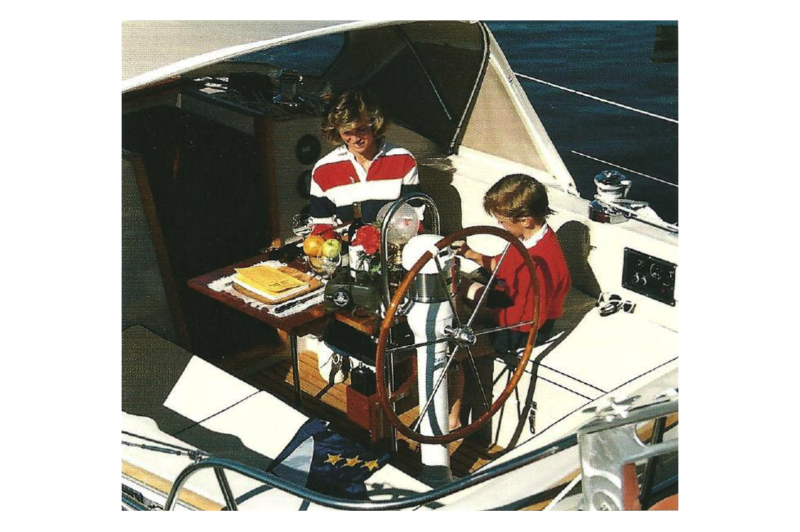 A large chart table or large dresser, for instance, can be substituted for the enclosed aft cabin. 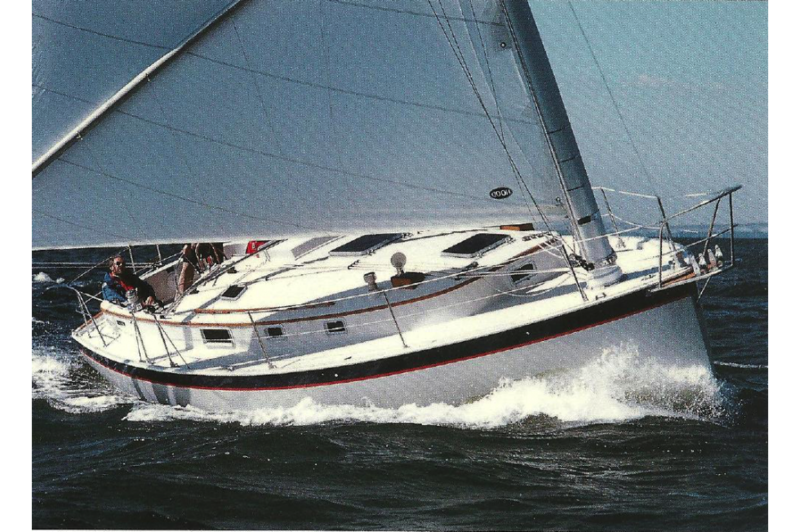 At Hinterhoeller Yachts, we want to build your Nonsuch 33 just for you.